ATTENTION STRING PLAYERS!! Joe Deninzon to teach at Mark Wood’s Rock Orchestra Camp this summer! Joe Deninzon to teach at Mark Wood’s Rock Orchestra Camp this summer! I am excited to be returning as a faculty member at Mark Wood’s Rock Orchestra Camp. Mark Wood was the designer of the 7-string fretted Viper Electric violin that I play. He is a legendary performer who has played with the Trans-Siberian Orchestra, Dee Snyder, and Billy Joel, to name a few. 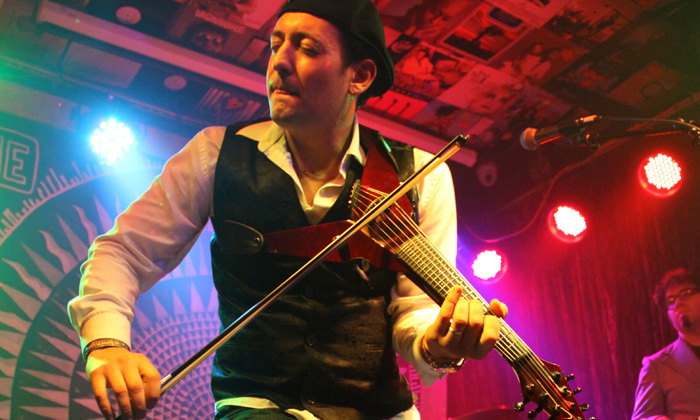 He is also a true revolutionary in the world of electric violin and string education. The camp will take place at MidAmerica Nazarene University in Olathe, KS from July 14-20, 2012. -Fusion Violin: Mahavishnu, Jean-Luc Ponty, and original songs. -Fitting into a rock arrangement using chord patterns, fills and solos, and effects. Rachel Barton Pine, Tracy Silverman, Bridgid Bibbens, David Wallace, Sean Grissom, and Chuck Bontrager.